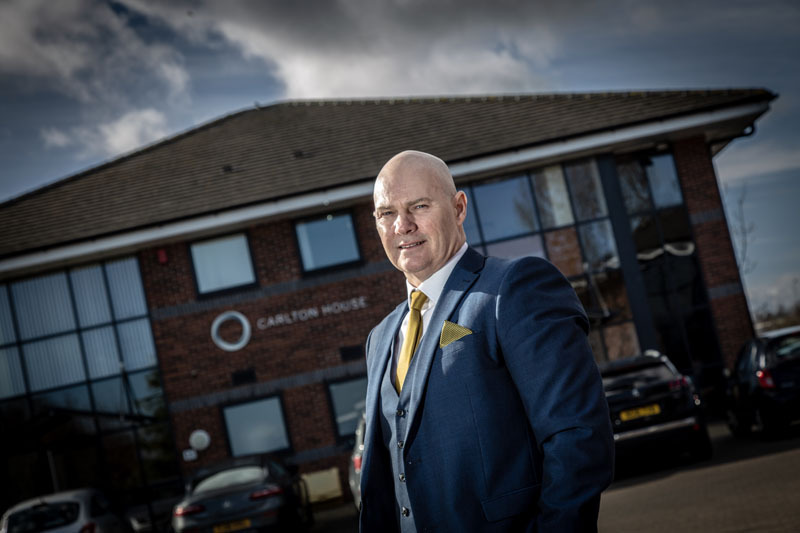 Darren Race is an experienced engineer who has devised user-friendly cloud-based software which enables employers to ultimately boost their productivity. And he’s now delivering his unique approach to companies around the world from his base on Aycliffe Business Park. Since 2006, Race has been leading Think Eleven, a firm dedicated to helping organisations optimise and maximise the value of their most important asset, their people. Experts in competency management, Think Eleven use their extensive knowledge to help organisations firstly move from what’s typically a transactional approach, based on training and records or training, to an approach focused on learning and development, with evidence and records of training, competence and compliance. It might sound complicated – but it isn’t. During a fascinating workshop delivered by Think Eleven, to a dozen other companies at South West Durham Training, Race demonstrated how staff utilisation can be boosted by as much as 30%, which will result in improved productivity and operating efficiency. Typical staff/workforce utilisation stands at around 55% – and can be as low as 24%. But Race and the team at Think Eleven have devised a unique system, which he’s already delivering in more than 40 countries around the world, which can boost Staff/workforce utilisation to 85% – what he dubs ‘world class levels’. “It was primarily focused around competency, and the fact most organisations have records of training, but not competence,” explains Race. “What we’ve seen is a trend for organisations and auditors to move towards a competency-based management approach – which provides evidence that they’ve not only been trained, but they’re competent to do the job they’re employed to do. “With that we can take workforce utilisation, which is typically 55%, to 85%, which is world class. Despite running his own successful business for more than 12 years, Race is no stranger to the workplace. Having trained as an engineering maintenance apprentice with the NHS, he went on to work for Nissan at Sunderland as an engineering maintenance technician and at Fujitsu in Aycliffe, first as an engineering maintenance technician then as engineering training manager. He was then group director of education and training for Filtronic plc and worked as UK sector and research manager for Semta before setting up Think Eleven. 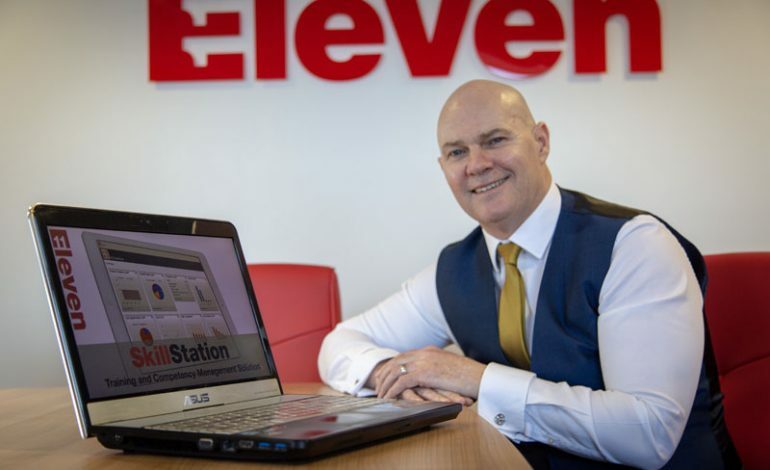 Think Eleven now provide consultancy to businesses and supported by their software service solution – SkillStation, which helps organisations define a transformational competency framework. “The framework is designed to improve the performance of their workforce not only technically, but behaviourally and culturally within their business,” says Race. Local councillor John Clare, cabinet support member for economic regeneration at Durham County Council, attended the recent business workshop, organised by Aycliffe Business Park. “There were some fantastic insights and tips from the presentation,” said Cllr Clare. 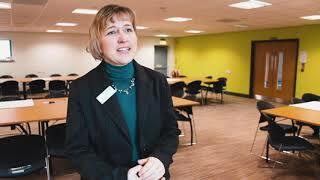 “It was absolutely fascinating, and very important for local businesses to get their heads around staff competency. “County Durham is not only a poor area, but it’s getting poorer – our disposable income is dropping. “We have quite high employment rates. It’s not a lack of jobs that is the problem, it’s the lack of high-paid quality jobs. “But when you combine full employment with low productivity, where is our growth going to come from? “Durham County Council is trying to grow our county’s economy, but the only place we can do this is by increasing productivity and skills. Using SkillStation, their proprietary cloud-based competency management software, Think Eleven are able to support the creation of a transformational competency framework which defines ‘what good looks like’ for every role or function across an organisation. This in-turn helps identify the most appropriate interventions (not necessarily training) to develop the knowledge, skills and behaviours required to deliver amazing results every time. Think Eleven work with and support a number of local, national and international organisations across many sectors of varying sizes, including Argos, Nifco, Siemens, The Chartered Institute of Marketing, TechnipFMC Umbilicals and many more. > Support external accreditations such as ISO9001, ISO14001 and customer audits etc. > Empower your employees and linemanagers to take ownership of their personal development. SkillStation will help ensure that your L&D activity is linked and aligned with your strategic goals and organisational values.